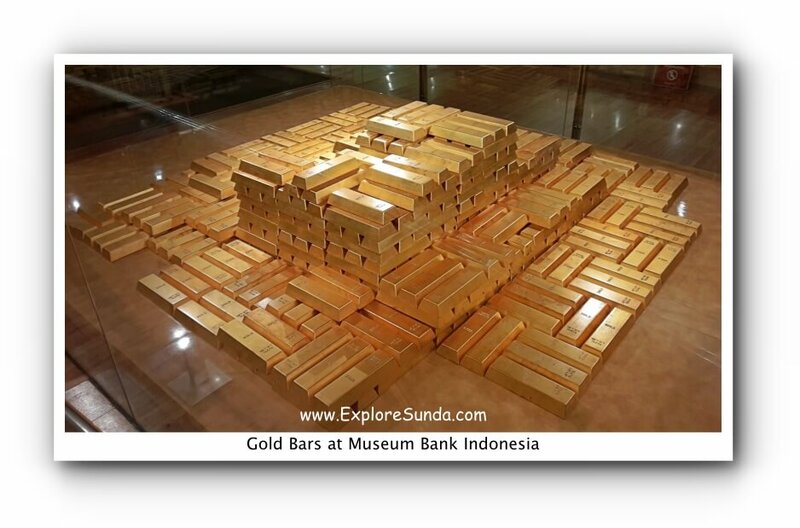 Similar to other museums in Kota Tua Jakarta, Museum Bank Indonesia uses a historical building. The difference is the building was intended and used as a bank since the beginning. 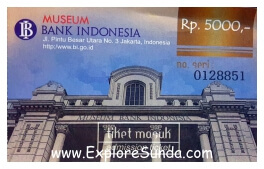 Museum Bank Indonesia resides in a grand building across Jakarta Kota train station. 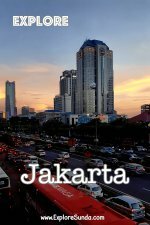 Initially, it was De Javasche Bank building, then in 1953 it was nationalized and became Bank Indonesia. Since Bank Indonesia occupies the new office in Jalan MH. Thamrin no. 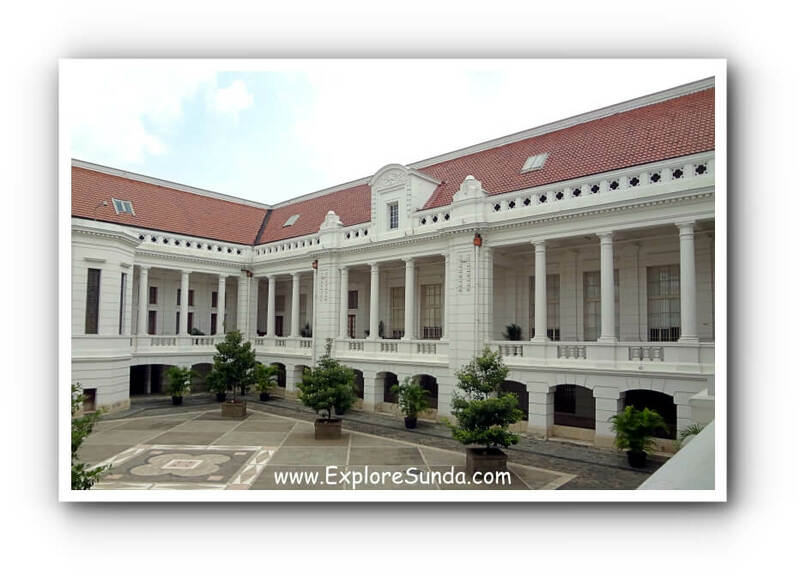 2, Jakarta, this historical building in the Jakarta old town was renovated and in 2009 it became Bank Indonesia Museum. One thing that makes Museum Bank Indonesia stands out from other museums is the security of this museum, which feels like we are entering an airport instead of a museum. We have to pass the security check at the front door and we are not allowed to bring our bag inside the museum. We can borrow a small plastic bag to carry our valuables though. 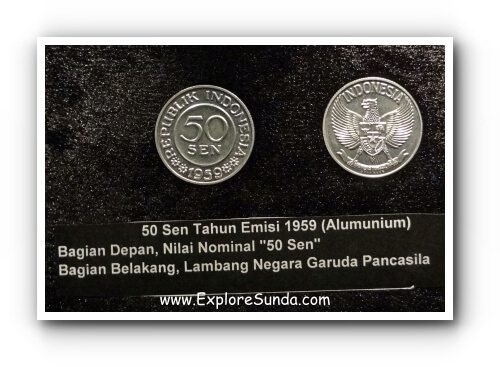 History of money in Indonesia, including the history of the central bank itself. 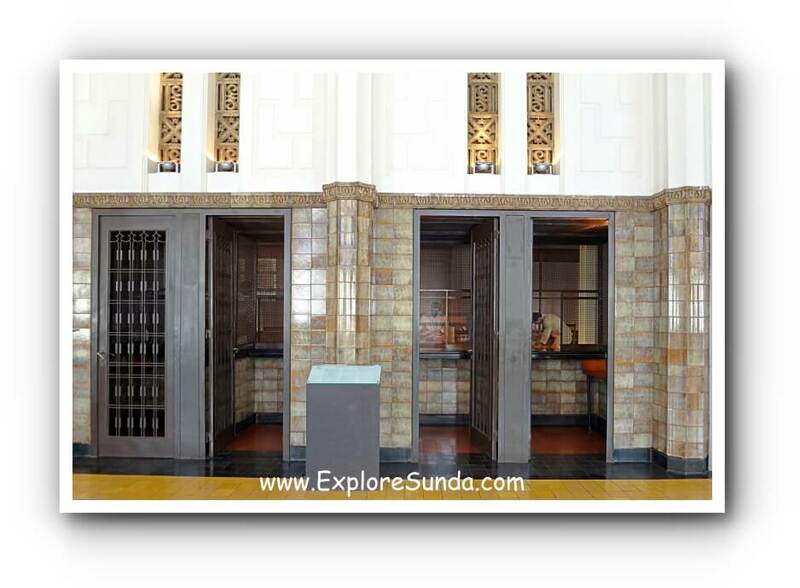 The reception area is the location where it used to be teller transactions. We could see several teller booths here. This part of the building is beautifully decorated with stained glass windows. The next zone is the history of money in Indonesia. 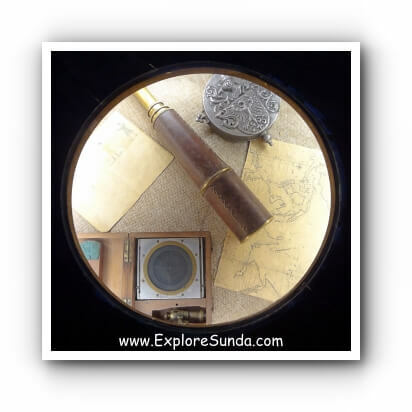 The information here is presented through diorama, pictures and narrated story. The story started from centuries ago when many traders came to Indonesia looking for commodities, especially spices. The top three spices were: nutmeg, clove, and sandalwood. During Dutch colonization, the first bank, Bataviasche Bank van Leening was founded by Governor General Van Imhoff in 1746. The next Governor General, Mossel, established Bank Courant in 1752 and later on merged these two banks. It became Bank Courant en Bank van Leening. The history continues to the colonization by Japanese to the Indonesian independence day in 1945. At that time Indonesia did not have any central bank yet. Hence, it was stated that Bank Indonesia would become the central bank of Indonesia. However, the establishment of the central bank was not that simple. Next, we will learn the struggle of Indonesia as a new born country to maintain the value of the money. The value hit the bottom in 1950 when Indonesian government took a drastic measure by cutting of all bank notes into two, one part was exchanged into government bonds and the other part could be used for transaction but the value was only half. The next catastrophe was the monetary crises in 1998. Many banks were closed. The economy reached the rock bottom. Almost two decades later Indonesian economy has climbed again, but Rupiah exchange rate and prices have not returned to their rate prior to 1998. The next section of the museum displays how the offices in this building look like. 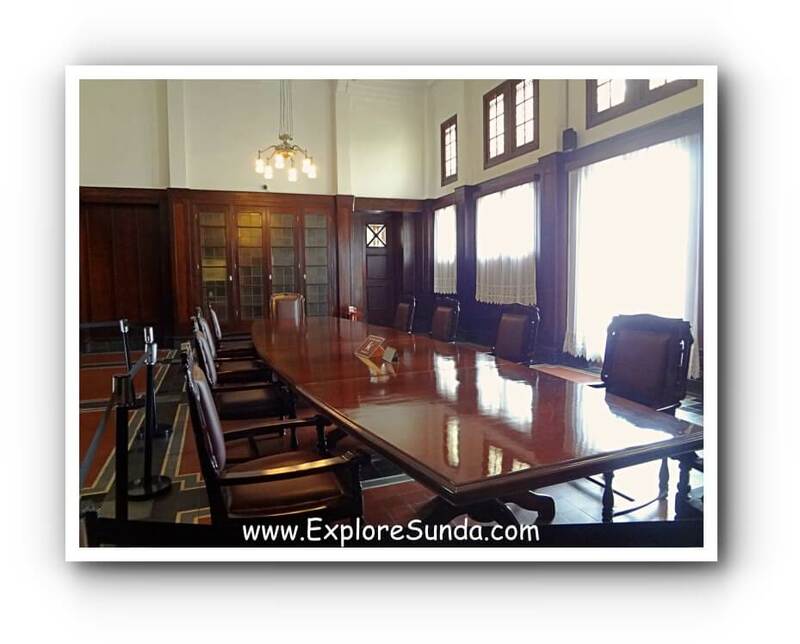 They are fully furnished with beautifully carved teak wood furniture, wide windows and white curtains. 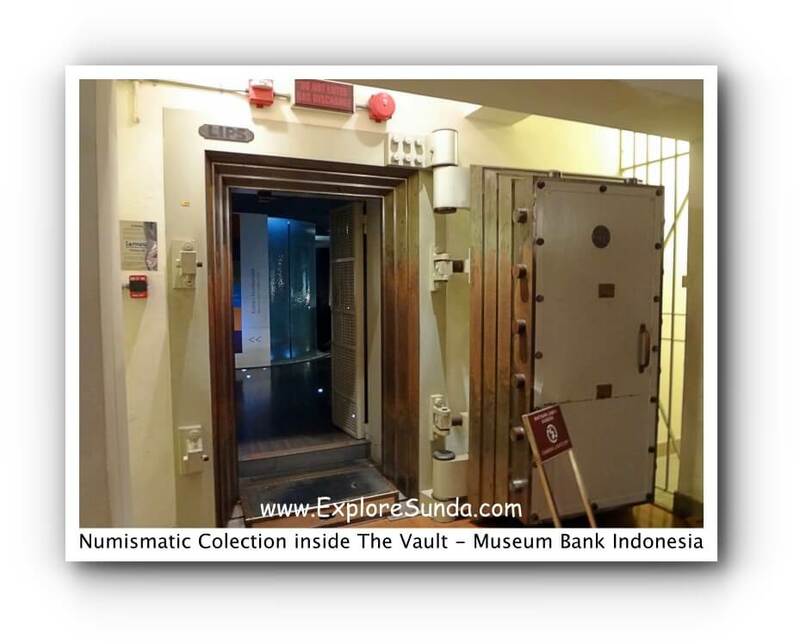 Passing through the open corridors, we will walk into the bank's vault to see the numismatic collection. It is the collection of all the bank notes that has been created in Indonesia. 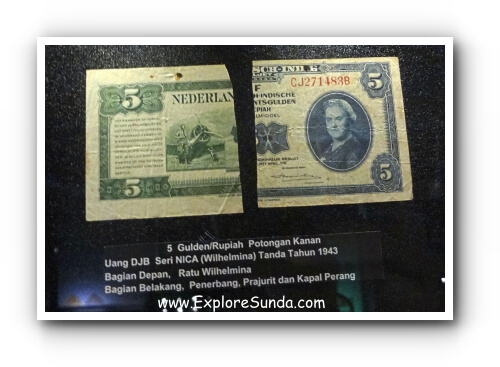 In addition to Indonesian bank notes, the museum also has a collection of other countries money. Then we will see a connecting door nearby, where we will find a treasure: a mountain of gold bars! I don't know whether they are real or not, but considering the tight security of Museum Bank Indonesia, I want to believe they are real. 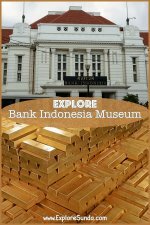 Museum Bank Indonesia is easily spotted, since it is located across Jakarta Kota train station and TransJakarta bus stop. 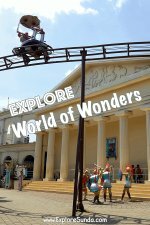 So, it is very accessible when you use a public transportation. The real challenge is how to cross the street!